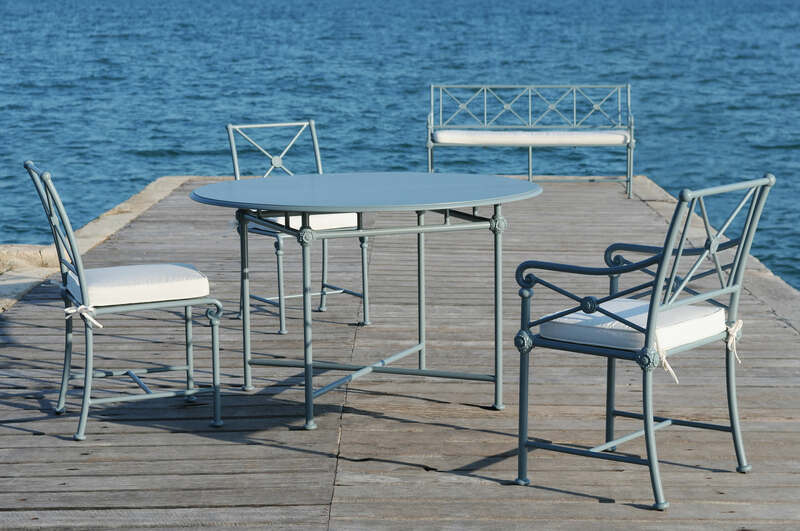 The 1800 line is inspired by the Madeleine Castaing bench. 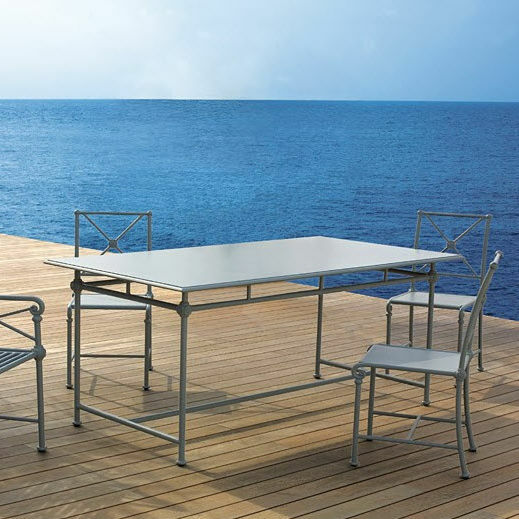 Made of aluminium, it includes tables, chairs and armchair as well as an outdoor lounge, to give an adjustable ensemble. All seats have a cross back, characteristic of this line. 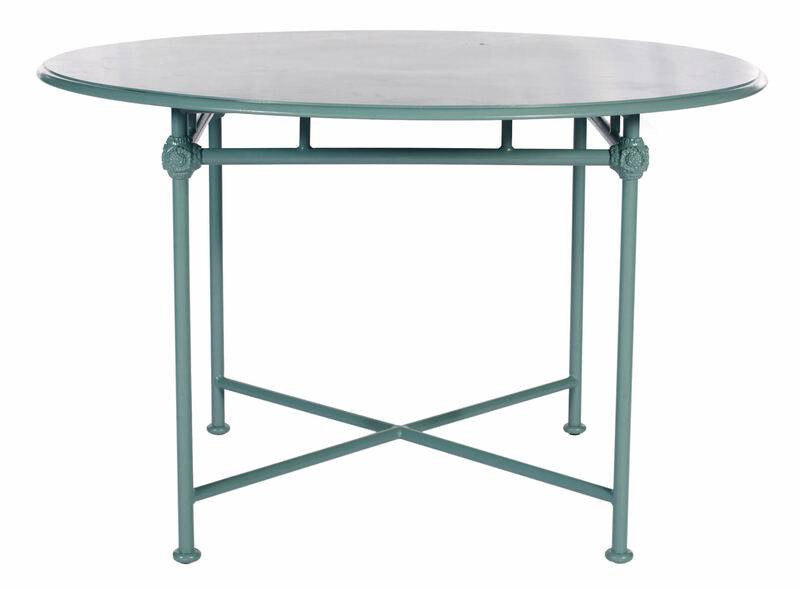 All uphold the highest traditions of elegance in iron artwork, with â€“ miracle of technology â€“ the added advantage of lightness ! 6 to 8 people.